MORENA: A New Alternative in Mexico? 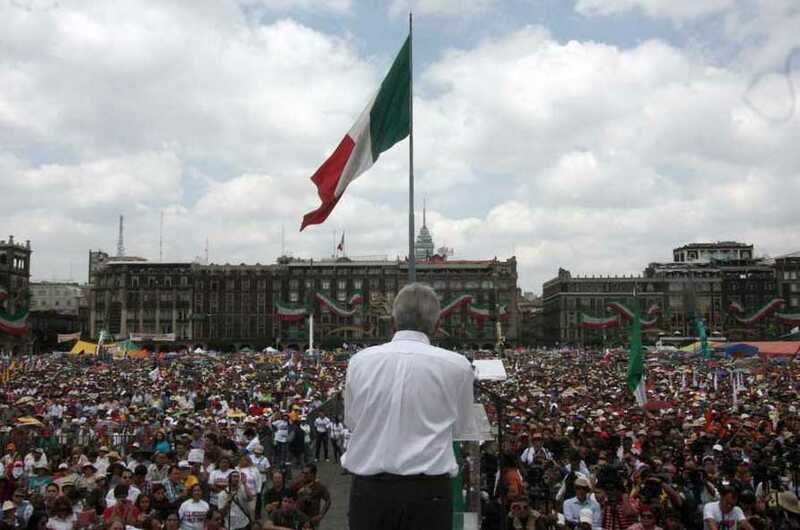 Many in Mexico today see Andrés Manuel López Obrador’s National Regeneration Movement (MORENA) as the party that represents the interests of the people. How is MORENA currently situated in Mexican politics and what is reflected in its recent growth? How will the left and movements relate to or challenge this “new” formation? On a national level, the center-left Partido de la Revolución Democrática (Democratic Revolution Party—PRD) has deepened its right-wing shift, mainly through opportunist alliances with the ultra-right Partido Acción Nacional (National Action Party—PAN). Although the PRD is part of a political bloc that effectively displaces the PRI in several states, it cannot win on its own in any of them. The PRD found a lifeline that can prove costly, as it remains to be seen whether this alliance will not give way to a crisis—between those who will go with the National Regeneration Movement (MORENA) and those who will bet on the PAN-PRD alliance in the 2018 elections. If the latter takes place, it may catalyze more fractures which may be absorbed into MORENA. The role of the so-called “Aztec Sun party” (PRD) as a center-left formation is thus very blurred, but it has not disappeared from the political map and continues to be one of the four main political forces of the regime. On the one hand, the government has come to several crossroads. First, it is uncertain how it will it implement its plans against the mass movement and the main actors in the current class struggle: the teachers. After the June 5 Constituent Assembly elections in Mexico City, the PRI lost several key states and municipalities, such as Ciudad Juárez and Veracruz. It is important to consider that there is no direct relationship between electoral decline and defensive positioning (even less so with the PRI, which tends to attack in order to establish a more favorable balance of forces). But surely in Los Pinos, they will consider the best ways to regain legitimacy and attacking the teachers without incurring greater political costs that would spur the entire mass movement. It is also possible (as in 2015) that a hostile outcome like this one would accelerate the scramble for succession within the ruling party. If this occurs, it may weaken the government and detract its authority for the remaining two years. The PRI also faces another crossroads: with the erosion of Enrique Peña Nieto’s government, it would be prudent for the 2018 candidate to be a fresh face with few ties to the presidential figure. This will not necessarily be accepted by the PRI’s internal tendencies, or those who have lined up as potential candidates—posing a power struggle within the cabinet itself. Already, several figures have “revealed” themselves as candidates. The PAN-PRD alliance, now more viable for 2018 than ever (but still contingent upon the internal discussions that both parties must undergo) appears as an option of alternation: for bourgeois and imperialist interests, it would be a safer, more reliable escape valve than MORENA. While the emergence of the PAN-PRD alliance presents an obstacle to Obrador, a situation of greater social and political polarization could prove favorable to the new MORENA by making possible political arrangements like the alliance with sectors of the Teachers’ Union (Section 22 in Oaxaca). These alliances may generalize and capture the support (and political subordination) of other working-class and rural sectors. In Mexico City and states like Oaxaca, Veracruz and now Zacatecas, MORENA has gained a foothold and the potential to expand its influence. In the June 5 elections for the Constituent Assembly in Mexico City, the party consolidated its position as leading political force in the capital, with 32.87 percent of valid votes, gaining 22 deputies. Among them are figures Irma Sandoval Ballesteros (member of the UNAM transparency laboratory whose father was a militant of the 1968-71 student movement), Bernardo Bátiz (known lawyer and jurist), Bertha Luján (linked with the Authentic Labor Front and close associate of Obrador), Bruno Bichir (actor) and Clara Brugada (former delegate of Iztapalapa). A significant number of “useful votes” (in spanish, “voto útil,” or voting for the “lesser evil”) cast in Mexico City for MORENA. Andrés Manuel López Obrador is undoubtedly betting on a repeat of this in the elections of 2017 and 2018. Generally speaking, the lesser-evil vote was in response to MORENA’s bourgeois-reformist rhetoric against corruption and advantageous appeals to the discontent among “citizens”: locally, against Mexico City Head of Government Mancera and the nationally, against the federal government. Mancera was particularly hit by the environmental crisis and the implementation of the “Hoy No Circula” (“No Circulation Today”) program, which restricted the movement of certain vehicles to reduce the high levels of pollution in the city. Since its performance of 8.4 percent in last year’s midterm federal elections, MORENA has increased its prominence, winning 14.2 percent this year—the first time it participated in elections at the local, municipal, and state level. In relative terms, MORENA is the party that has gained the most in vote intention, but only in the context of a lower voter participation compared to federal elections. Thus, it is positioned as the third leading force in important regions like Veracruz and Oaxaca. As mentioned earlier, the vote for MORENA was largely a “lesser evil” vote against the PRI, PAN and PRD. Their spots (campaign ads) called on the public to counter the 40 deputies designated by Mancera and Peña Nieto with 60 MORENA deputies. 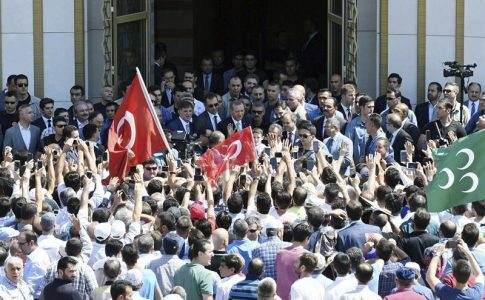 This campaign was at the expense of minor parties and allies of the major parties, such as the Social Encounter Party (PES), the Labour Party (PT) and Citizen Movement (MC), while also limiting the growth of independent candidates. 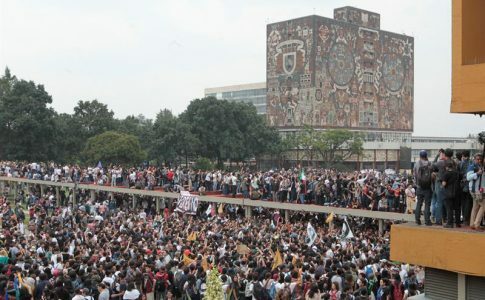 A notably high number of votes for Formula 5 came from areas surrounding the National Autonomous University of Mexico (UNAM) in Ciudad Universitaria, Coyoacán, as well as areas with a high concentration of teachers and workers (ie., Iztapalapa). There was substantial support for the Anticapitalist 5 slate from working-class areas like Azcapotzalco, and about 1,000 votes from the largely middle class Benito Juárez delegation, a PAN stronghold for several years where MORENA also consolidated as second force. Estrada and Moissen received solidarity messages and support from teachers organizing against the education reforms, workers, young students, and intellectuals. Over the last decade, several demonstrations have painted the political scene in Mexico, giving rise to a new generation of young activists who are critical of the current system. This generation now faces divergent paths: either it will strengthen a revolutionary and independent class perspective that combines the struggle with political alternatives advanced by youth and workers themselves, or the new generation will fall in line behind the new mediator between government and mass movements–MORENA, coming from the depths of the PRD. There is nothing progressive to be found in a party that seeks to usurp social discontent and transform them into electoral slogans. MORENA is in fact a party that emerged from a schism within the PRD–that is, its leadership comes from the same political caste that a broad sector of workers and youth repudiate. It has generated great expectations for discredited traditional parties like the PRD itself, the rightist PAN and of course, the PRI. In 2015, MORENA emerged like a novelty on the national panorama and the metropolitan zone in particular—the center of the demonstrations, from the #YoSoy132 (“I am 132”) movement to the hundreds of thousands who took to the streets demanding the appearance of the Ayotzinapa rural students. It became the alternative chosen by millions to express their dissatisfaction with the political regime of the Pact for Mexico and “narco-politics,” especially when the populist and reformist leaderships who led these demonstrations had a political strategy that prevented a significant shift in the balance of forces against the government and the political regime. This is the result of a strategy focused on reforming and democratizing the institutions in an extremely limited way, appealing for it to integrate into its ranks representatives of the “political mafia” that Obrador claims to combat. 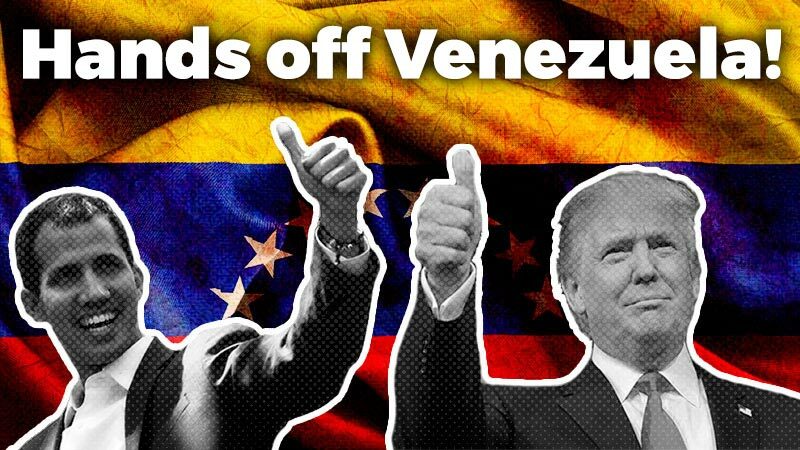 The MORENA, by not questioning the character of this regime at the service of transnational corporations to the end, can not provide a comprehensive response to working people and youth, with their aspirations for change. The fact that MORENA has attracted mass support from the people in Mexico City makes the results of Formula 5 carry even greater significance. List 5 obtained nearly 11,000 votes from people who repudiate the Pact for Mexico and are sympathetic to anti-capitalist ideas. Certainly, it is a very small sector compared to the mass vote for MORENA, but these numbers can grow over time, as thousands gain experience with Obrador. The results pose new challenges. The electoral participation has shown that thousands of people relate to an anti-capitalist perspective, and there is a political current that has the will to prepare itself to serve as an alternative for workers and militant youth against the parties that conform the Pact for Mexico and the regime’s left, which MORENA is already becoming. This is definitely a great responsibility for socialists organized in the MTS, who pushed this formula: we must strive to transform the electoral support and campaign participation into a material and organized force—greater than anything that exists today. The key is to build a great revolutionary organization of workers and militant youth who leave the marginality of the Mexican left and prepare to intervene in class struggle. Therefore, we call on all those in Mexico City who voted for Anti-capitalist Formula 5. And beyond voters, we call on those who felt represented by the Anti-capitalist Slate’s platform, in Mexico City and other states. We invite you to join us, come to the meetings, activities and forums that we will convene with the candidates and continue to participate together for the defense of workers’ and people’s interests. We do this because we think it is necessary to construct a political organization necessary to address the bosses’ parties and a regime that defends the interests of multinationals and imperialism through struggle and in the streets. We want to build a socialist revolutionary organization that, does not seek to reform this system of exploitation and misery, but instead aims to create a government of the workers and people as the first step to end capitalism. Those of us who pushed the Anticapitalist Slate are part of a socialist and internationalist organization. In the past, when most left variants adapted to the regime’s democratic variations, to reformism and populism, we had a revolutionary perspective. This allowed us–in the new opportunities of the class struggle that arose–to be part of the different movements carried out by youth and workers; from the #YoSoy132 to the fight for 43 Ayotzinapa students and heroic teacher resistance, we converged with youth, students and workers. At the same time, our electoral campaigns are at the service of a key task. The thousands who saw and heard the anti-capitalist proposals are a small but important sector that can be incorporated into a new political force in Mexico, which is only possible if we assume a perspective of class independence. This first implies a clear critique of the political strategy of Obrador’s leadership, centered on reforming of the current regime. Second, a clear critique of other alternative center-left variations—whether in “party” or “citizen” form (NGOs)—is necessary, as well as a deep dialogue with thousands of workers and youth who trust Obrador with their aspirations for change. We should convince them to take a perspective of radical transformation of the current economic, political and social regime. 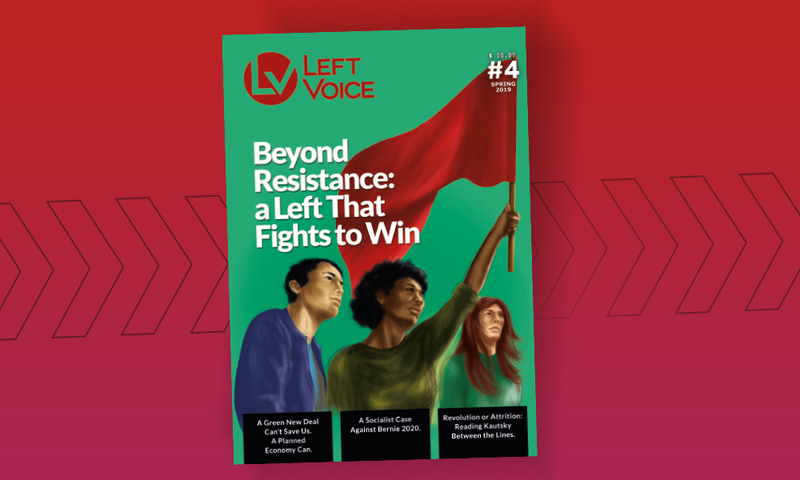 The emergence of a revolutionary organization in Mexico can only be accomplished through winning over many workers and youth who were part of the most important struggles of recent years and who now sympathize with MORENA’s leadership. This also means engaging in strategic battles with labor movement leaders who call themselves “democratic,” but lead workers to rely on “opposition” parties that are in fact part of the political regime. The struggle to end the subordination of the labor movement is a historic task in Mexico. It is essential to build an organization that fights not only within the trade unions, but that also takes on the task of building a new workers’, revolutionary and class-struggle movement. Therefore, our political activities are formed with the objective to enable new sectors of workers and youth to embrace socialist ideas, and with the strategic goal of ending capitalism, imposing a government of workers, and building a society without exploitation. We can utilize the visibility we achieved within the labor movement, with teachers, youth and women who supported our candidacy, and the increased readership of La Izquierda Diario Mexico. We can develop everything that was conquered into a strong anti-capitalist and revolutionary organization in Mexico. A sector of the Mexican left carries little ambition that socialist ideas can reach thousands; the populist left always chooses to vote petty-bourgeois or bourgeois leaderships, like the Stalinist leadership of the Teachers’ Union who called to vote MORENA in Oaxaca. 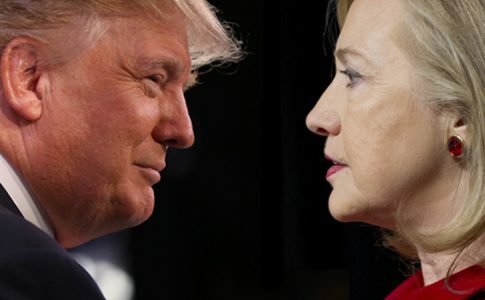 In contrast, our candidacy has demonstrated the audacity to make way without giving up its class independence. We are set on disputing a place among workers and youth for the anti-capitalist left, to become a political alternative for thousands. The working class and the people of Mexico deserve a new socialist and revolutionary organization that prepares itself to shake Mexico at its foundations. Andrés Manuel López Obrador was Head of Government in Mexico City from 2000 to 2005, when he resigned to run as a presidential candidate. 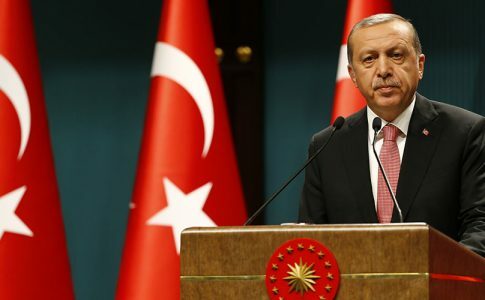 The media (directly and indirectly aided by the presidency) issued a slanderous campaign against him during the 2006 elections, being one of the key factors led to election results in favor of the PAN. Miguel Ángel Mancera Espinosa is a member of the PRD, served as Attorney General of Mexico City, playing a role of super-police in the Ebrard administration, and has been Head of Government since 2012. His administration has been characterized by heavy police repression against demonstrations. The events that deserve special mention include the September 1, 2013 demonstration, the harsh eviction of teachers from the Zócalo (central plaza) two weeks later, and the October 2, 2013 demonstration, all of which resulted in a large number of detainees arbitrarily arrested by Mancera’s riot corps. The Partido Encuentro Social (Social Encounter Party—PES) was created by former PRI and PAN leaders with a social base linked to evangelical churches. Their proposals have included the criminalization of homosexuality and abortion. Óscar Fernández is a militant of the Movimiento de los Trabajadores Socialistas (Socialist Workers’ Movement—MTS) in Mexico.